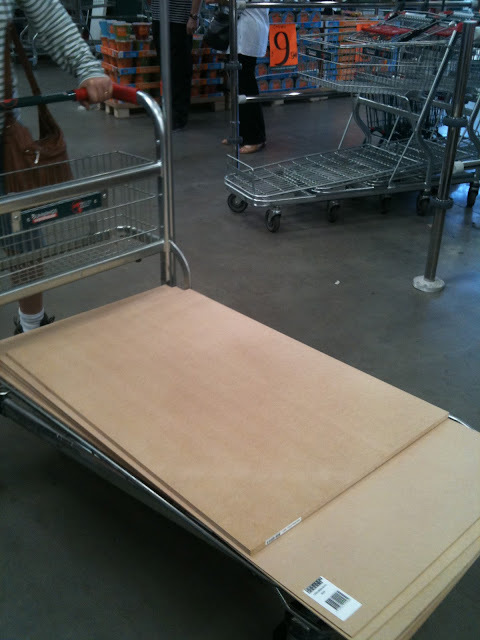 The long weekend has finally come, and so first thing Saturday mum and I went off the to hardware shop for some materials to build the shell of the new dollhouse. I bought 7 sheets of MDF measuring 900mm x 1200. They range between 18mm and 2mm think. 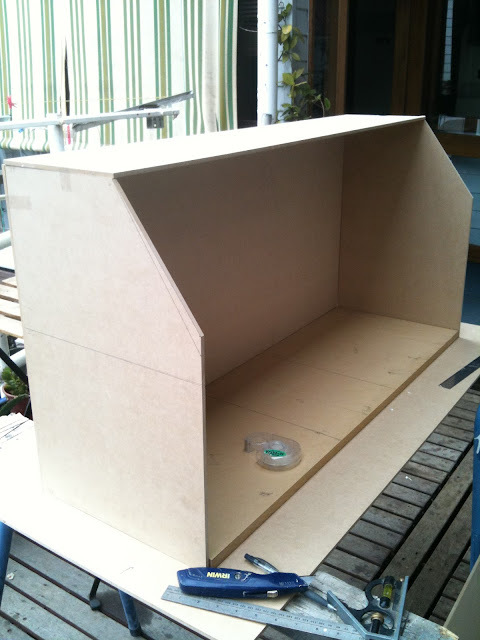 18mm is for the base of the house, so it is nice and sturdy. The walls, ceiling and roof are 4mm. I measured out the floor plan/interior wall positions on the base as a guide for the dimensions of the rooms. 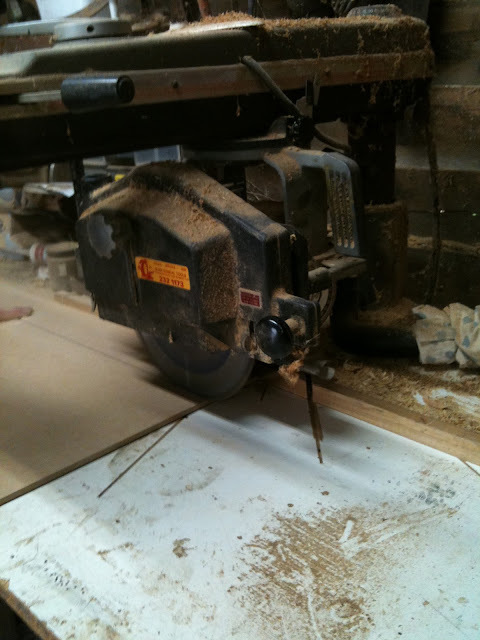 A circular saw is the best tool for cutting the large pieces of the base and back. After cutting the pieces, I taped the shell together to see how snug the fit was. Taping before glueing is a good way to make sure the dimensions of the rooms are good. The layout of the house will be of a central hall (where the staircase will be fitted) with a room of equal size on each side of the hall. Upstairs will be two smaller bedrooms or a bedroom and a sitting room - I haven't decided yet. The dimensions of the downstairs rooms (if they were real) are approximately 4.5m (15 foot) wide, 3.5m (12 foot) deep, with 10 foot ceilings. I decided this equates to a generous (but not grand) room. If it was a British house I would probably have made the ceilings higher, however, Scandinavian houses seem to have lower ceilings in general, so that is what I went with. This also makes for a more manageable size house too! Tomorrow I will go out in search of legs for the house. I will also cut the facade, window holes, and glue the shell together. What a great p[roject. 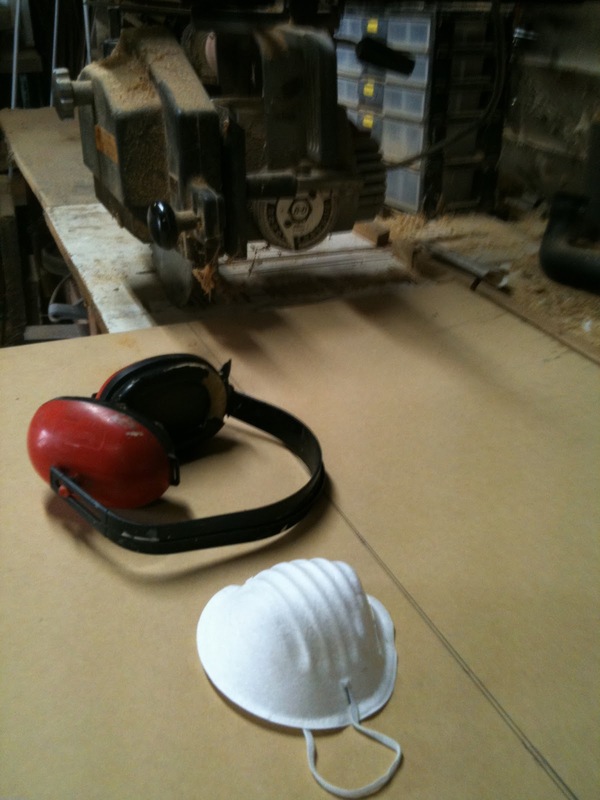 This post brings me back to when I bought the mdf for my project. I can't wait to see your house evolve. I love the design and I appreciate the size of the rooms. I was excited when I found your blog to see someone making an entire house from scratch! I have read all your posts with enthusiasm, because there are several techniques I want to try. I have not tried having walls separate yet, so I am looking forward to seeing how it goes! I look forward to your next post! Thank you so much for the very great compliment. I'm not a professional mini maker, but if you ever have a questiona bout a technique please feel free to contact me. Emily I too will watch with interest as this house develops. I have built a couple of houses from scratch and it is an enjoyable if challenging process. Thanks Sandra, I am looking forward to finishing it too!